I love it when I read a book & then want to tell the whole world about it. It's the reason behind this blog - so that I can suggest great books to great people! I decided to host this event, "GReads Recommends..." once a month to showcase books I've read in the past that I think others may enjoy too. Have a look & hopefully you'll find something new to read! Let me know in the comments if you have read or plan on reading the books mentioned below. Enjoy! Yup, this is a non-YA book that you see featured on GReads! I tend to pick up adult books every now & then :-) I really loved this story about two sisters who are complete opposites, yet still so much alike. The story was charming & the writing was brilliant. 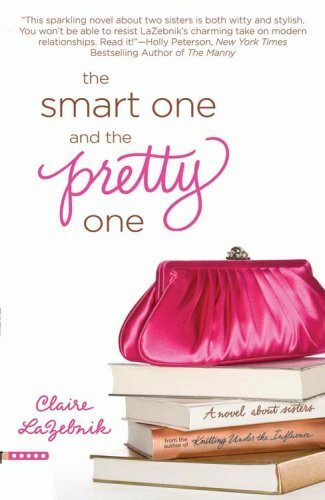 If you're looking for an easy chick-lit to read, I suggest picking up this one! I enjoyed this modern re-telling of Romeo & Juliet. Though the story was predictable, I found it to be sweet & endearing. I felt that this story presented a good message for both the young, & the older crowd. You recommend the best books, so I love this feature. I didn't like the first Colasanti book I read but I may have to give her another try. I always see her books at Half-Price. The Smart One and the Pretty One sounds good also. I love chick-lit! Thanks for the recommendations! 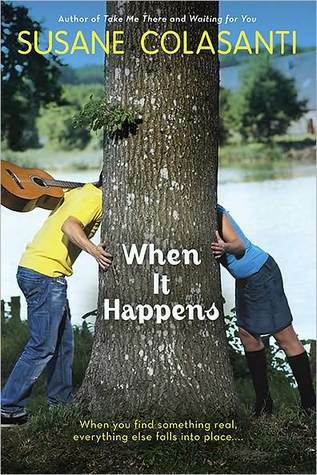 I love Susane Colasanti's books. I have been wanting to read Caleb and Kate. Thanks for the recommendations. Ahh I think you're my contemporary soulmate. I loved When It Happens, and Caleb and Kate sounds really good! I'm going to put it on my TBR list now. Do you have a Goodreads account? I feel like we need to be friends! Excellent. Thanks for the recommendations. Yay! I am so happy that you decided to do this! I have When It Happens so I will have to bump that up my TBR list. The others looking equally as good too! Love the new feature. Thanks for the recommendations. I've heard so many great things about Susanne Colasanti! I finally picked up Take Me There the other day when I saw it at Goodwill! P.S. I can't wait to see what you think of Stealing Heaven. I have a copy on my shelf, but I haven't read a whole lot of reviews of it yet! Yay for new GReads features!!! I still haven't read any books by Susane Colasanti so maybe i'll start out with When It Happens. I've yet to read a Colasanti book, but this one sounds really sweet. Actually, all of your pics sound sweet (and of course I've already read C+K so I'm already biased). I pick up adult books as well, so I'm always looking for all kinds of recommendations! The Smart One and the Pretty One sounds really cute! I LOVED When It Happens!!! It's one of my favorites and all of my girls are passing it around this year and loving it too - my copy is literally starting to fall apart. Just recently bought Caleb & Kate and it's is on my TBR pile now. Love the new feature! I haven't read this one yet but judging from all the wonderful reviews it looks like I might have to! I'm a new follower yet I do Tuesday Teasers! I don't know how that happened but I'm really glad I found you!